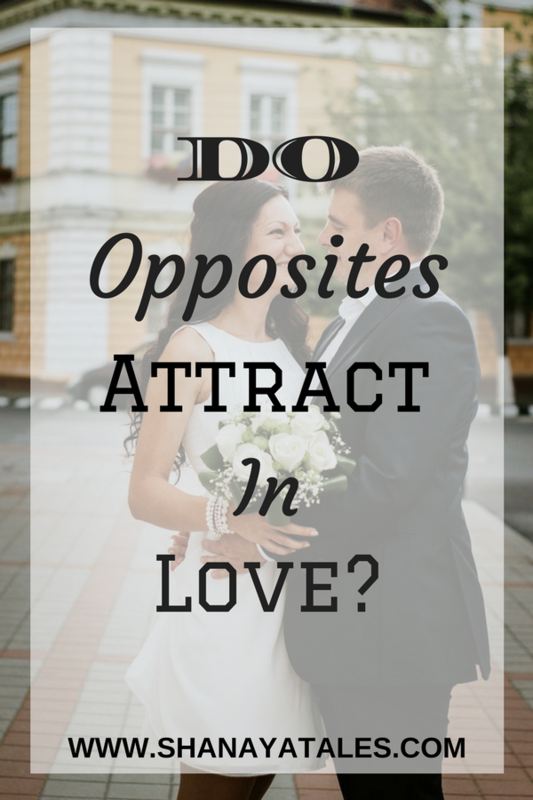 Do Opposites Attract in Love? Do Opposites Attract only in Science, or even in Love? Saying 2: Birds of a feather flock together. I am sure most of us have heard these sayings over and over again while growing up. However, they do convey diametrically opposite meanings. Logically speaking, only one of these sayings can be true, as they negate each other. But love and friendships are rarely about logic. I have found that both of these contradictory statements can be true- with the very same person. In my teenage years, I believed in the saying that opposites attract in relationships. This belief was a result of growing up with parents with extremely different personalities and a heavy dose of books & Bollywood movies, where the good girl inevitably falls for the bad guy. However, if I took a look at some of my closest friends, I realized that more often than not, it is the similarity that got us together and kept us going. And, what is love, if not an extension of friendship? Like they say “The happiest couples never have the same character. They just have the best understanding of their differences”. I would love to hear from you. Have you experienced anything different? In your relationships, and in friendships, do you feel that you have bonded over your similarities? Or have you been attracted to each other because of your differences? I agree. 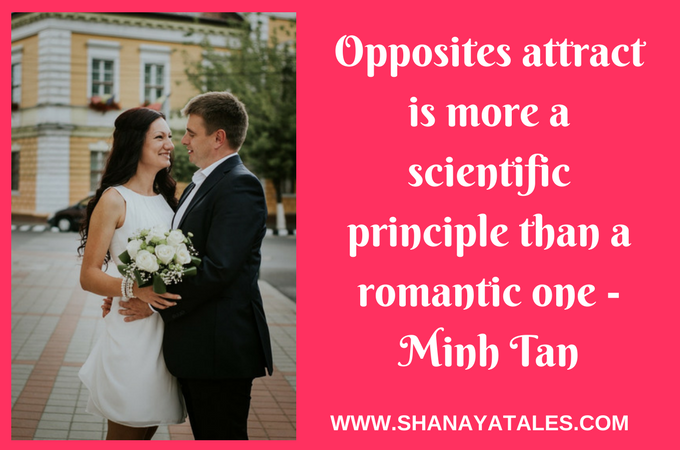 I’ve always wondered about the ‘Opposite’s attract’ thing. Yes, it works fine for magnets, but in real life and real relationships, it’s both opposite and some similarities that kind help maintain the balance, I suppose. My wife and I have similar tastes when it comes to food, but couldn’t be more different & diverse when it comes to writing or movies. OR even sports. I think you have it just right. My husband and I are really different personality wise but our core values are the same. It makes us a good team as parents. Glad to you on the A to Z list. Great Shantala,what I observed in relationship of both is a mix match .it’s tough to say who is better but it’s a good understanding between both to move forward.Sometimes you have to keep your egos back & respect your partner for better life ahead. I fully agree with you as I do believe that opposites do attract, but, birds of a feather also flock together! Me and my hubby, or even my closest friends do have our differences, but we are also very much similar in many ways, and that, I believe, makes our relationship all the more interesting. In a way, we complete each other! You do have a very lucid style of writing, Shantala. Great to have met you! I think it’s a combination of things. But, the differences between people, when woven together through love and sometimes compromise, makes for a stronger union. The power of the couple is greater than the sum of the parts. Wouldn’t it be great if we could find someone who is similar to us in some ways.. and dissimilar in others? It would be really fun to have it balanced.. Like similar ways of thinking but different choices of movies and books.. True, Mithila. There needs to be some differences, else life would be so boring! On a more serious note -while I enjoy the fact that me and my hubby are more different than we are similar, with friends I look for similarities over differences. Once upon a time there was someone very similar to me….so many commonalities… It as magical. My wife and i are poles opposite ….it makes life so much more exciting!